Information system design of inventory control spare parts maintenance (valuation class 5000) (case study: plant kw) Rina Fitriana, Parwadi Moengin, Mega Riana Simulasi and Sistem Industry Laboratorium, Industrial Engineering Department Fakultas Industrial Technology Faculty, Trisakti University Email : [email protected], [email protected], [email protected] Abstract. Plat KW hadn’t using optimal inventory level planning yet and hadn’t have an information system that well computerized. The research objective is to be able to design an information system related inventory control of spare parts maintenance. The study focused on five types of spare parts with the highest application rate during February 2013- March 2015 and included in the classification of fast on FSN analysis Grinding stones Cut 4", Cable Tie 15", Welding RB 26-32MM, Ring Plat ½" and Ring Plate 5/8 ". Inventory calculation used Economic Order Quantity (EOQ), Safety Stock (SS) and Reorder Point (ROP) methods. System analysis conducted using the framework PIECES with the proposed inventory control system, the performance of the plant KW relating to the supply of spare parts maintenance needs can be more efficient as well as problems at the company can be answered and can perform inventory cost savings amounting Rp.267.066. A computerized information system of inventory control spare parts maintenance provides a menu that can be accessed by each departments as the user needed. Key Words: Inventory Control System, Information System, Economic Order Quantity (EOQ), PIECES (Performance, Information, Economics, Control, Efficiency, Information, Service). 1. Introduction Information is very important for company management in decision making. The information system is an arrangement of people, data, processes, and information technology that interact to collect, process, store and supply as output the information necessary for an organization. (Whitten,2004). Information system created in order to simplify the management of data and information as well as help us in searching for data and information needed. Inventory information system is a system that provides information or reports required by management related to order, storage and inventory. Plant KW is a company engaged in the business of natural (agribusiness), namely natural rubber processing. The main product produced in the form of crumb rubber with the standards of quality based on SIR (Standard Indonesian Rubber). Controlling inventory control spare parts maintenance becomes an important point in supporting its success. Implementation of engine maintenance activities is important because it affects the productivity levels of production activity. The absence of planning needs spare parts for maintenance is good, can affect the occurrence of overstock and stock out. Where is the impact that will result if inventory of spare parts experienced overstock, the company will incur huge costs for the storage of spareparts. Inventory information system is one of the main requirements for operational planning activity. Therefore, it is necessary to have accuracy of the information and have a quick decision to be taken by the company in determining inventory levels and the time reservations where companies do not have a system that supports it yet. KW Plant didn’t have effective information system related issues material inventory levels of spare parts production machines. KW inventory control has not using the optimal planning of inventory levels and still lack a computerized information system well. This research was conducted in order to determine the amount of inventory of spare parts that proper maintenance and to develop an information system that can support the maintenance of spare parts inventory control KW plant. SDLC System are Planning, System Analysis, System Design, Implementation, Phase Usage. (Mcleod, 2001). Analysis and Design System used for analyzing, designing, and implementing development business functions that can be achieved through the use of computerized information systems (Kendall, 2003). PIECES framework (Performance, Information, Economics, Control, Efficiency) refers to solve problems, exploit opportunities, and run the command (Whitten, 2004). Context diagram puts the system in an environmental context. This diagram consists of a single process symbol that symbolizes the whole system. Data Flow Diagrams is a graphical representation of a system that uses four shapes symbol to illustrate how data flows through the processes connected. Entity Relationship Diagram (ERD) is a picture on a system in which there is a relationship between the entities and their relationships. ERD is a data model that uses some notation to describe the data in the context of the entities and relationships described by the data. Physical Data Model (PDM) is a type of data model that is a portrait of the relationship between table physically. (Whitten, 2004). 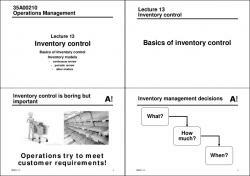 There are many research about inventory information system. Pons (2010) describes a theoretical approach to examining the larger organizational factors in which inventory control systems are embedded. Mongore et al, (2013) determine the effect of material requirement planning on operational performance, establish the influence of continuous replenishment on operational performance, establish the extent to which distribution resource planning influence operational performance and the effect of vendor managed inventory on operational performance of Tea Factory. The result was significant correlation between the use of inventory control systems and operational performance of a tea processing firm. M.R. Khabbanzi et al (2013) made computerized inventory information system as system able to be integrated with other back office systems in production logistics. Singh et al. (2013) made the strategic role of JIT in inventory management. Information technology helps JIT in managing inventory effectively, it also helps in integrating the components of supply chain network and quality aspect of inventory management. Reddy et al. (2009) made management information system to provides accurate and timely information, necessary to facilitate the decision-making process and enable the organizations planning, control, and operational functions to be carried out effectively. Akindipe (2014) wrote practitioners become proactive by applying proffered solutions, efficiency will be achieved in management of raw materials and production operations. Liang (2014) build up a system to predict inventory, surveyed experts to identify key issues associated with inventory management in the foodprocessing and distribution industry, analyzed sequential patterns to find rules based on analytical results from the survey and proposed a model for inventory prediction. Cadavid et al. (2011) made a framework for decision support system for inventory management area with the Enterprise Resource Planning’s (ERP´s). 3. Research method The study began with preliminary research , problem identification, literature, the purpose of research, data collection, data processing , analysis and then conclusions and suggestions are given . As for the data processing that occurs as follows . Figure 5. Entity Relationship Diagram Proposed system Physical Data Model (PDM) Physical data model is created to facilitate the development of a database. Physical Data model is a model that uses a number of tables to describe the data and relationships between data - the data is made by ERD. Each table has a column in which each column has a unique name. PDM is a representation of the design data created in the spare parts inventory information system of KW plant. Figure 6. Physical Data Model Proposed System Data Dictionary When displaying the data of raw materials and finished goods along with related data into a display program to be made in advance to design an appropriate database. Database components such as tables integrated and formed relationships with each other. Hence the need for a data dictionary is intended as a repository for data from the database that is being designed. The data dictionary is based on PDM (Physical Data Model) made of ERD. The Design Results Results of the design inventory information system KW using the design database MySQL and Visual Basic 6. Views are made based on the needs of the inventory information by departments. Factory Warehouse as admin of the program can access and view all of the display, both the entry menu and edit reports. Here are the example of the inventory information system. Figure 7. Display Inventory Information System 5. CONCLUSION 1. Inventory information system proposals are made to provide information on the availability of goods spare parts need maintenance, capable of providing the required inventory information quickly and accurately so that facilitate the search and retrieval of information required by users. Inventory information system proposals have good security, since access is restricted by using user ID and password in every department. 2. Proposed inventory levels by using EOQ method capable of providing savings on the total cost of inventory amounted to Rp. 267.066,- per week for 5 material under study or for each material studied KBT - 0004 ( Cable Tie 15 " ) save 56.67 % , KWL - 0094 ( Wire Las RB 26-32MM ) saving 3.86 % , RPL - 0018 ( Ring Plat 5/8 " ) save 3.92 % , BGR - 0010 ( Grinding Stone Cut 4") save 5.02 % , and the RPL - 0005 ( Ring Plat ½ ") saving of 3.6 % per week. Acknowledgments Authors thank to Research Grants from Directorate General of Research of Technology and Higher Education Indonesia for funding this research. . References  Abayomi, T. Onanuga and Adeyemi, A. Adekunle. 2014. Dynamics of Inventory Cost Optimization – A Review of Theory and Evidence. IISTE Vol.5, No.22, pp 43-52. Assauri, S. 2004. Manajemen Produksi dan Operasi Edisi Revisi. Fakultas Ekonomi Universitas Indonesia. Jakarta. Akindipe, Olusakin S. 2014. The Role Of Raw Material Management In Production Operations. International Journal of Managing Value and Supply Chains (IJMVSC) Vol.5, No. 3. Cadavid, Diana Cecilia Uribe. Zuluaga, Carlos Castro. 2011. A framework for decision support system in inventory management area. Ninth LACCEI Latin American and Caribbean Conference (LACCEI’2011), Engineering for a Smart Planet, Innovation, Information Technology and Computational Tools for Sustainable Development, Medellín, Colombia. Heizer, Jay dan Barry Render. 2005. Operations Management: Manajemen Operasi. Jakarta : Salemba Empat. Pons, D. 2010. System model of production inventory control. International Journal of Manufacturing Technology and Management (IJMTM), 20(No.1-4), 120 - 155. Mogere, Kennedy Maeba. Oloko, Margaret. Okibo, Walter. 2013. Effect Of Inventory Control Systems On Operational Performance Of Tea Processing Firms: A Case Study Of Gianchore Tea Factory, Nyamira County, Kenya. The International Journal Of Business & Management. Vol 1 Issue 5. Kendall. 2003. Analisis dan Perancangan Sistem Jilid 1. Prenhallindo. Jakarta. Kharisma, Gema. 2013. Pengklasifikasian dan Peramalan Spare Part Di Industri Pupuk (Studi Kasus: Pt. Petrokimia Gresik). Undergraduate Thesis of Industrial Engineering. Institut Teknologi Sepuluh Nopember (ITS) Kampus ITS Sukolilo. Surabaya. Linda Marlinda. 2004. Sistem Basis Data.Yogyakarta: Andi Offset. pp 1- 6. Liang, Chih-Chin.2013. Smart Inventory Management System of Food Processing-and Distribution Industry. Information Technology and Quantitative Management (ITQM2013). Procedia Computer Science 17.pp 373 – 378. McLeod.R. 2001. Sistem Informasi Manajemen Bagian I&II edisi 7. PT Indeks. Jakarta. M.R., Khabbazi. M.K., Hasan. A., Shapi’i. R., Sulaiman. A, Taei-Zadeh. 2013. Inventory System And Functionality Evaluation For Production Logistics. 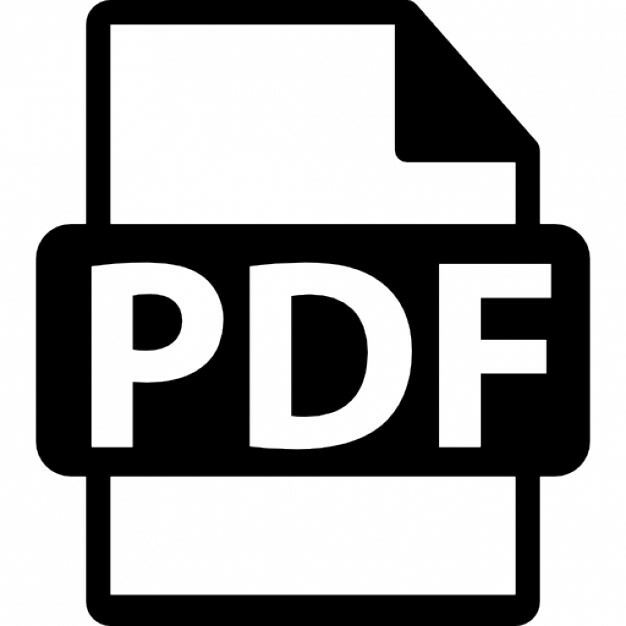 Journal Of Theoretical And Applied Information Technology. 31st August 2013. Vol. 54 No.3. Singh, D. K. Singh Satyendra. 2013. JIT: A Strategic Tool of Inventory Management. International. Journal of Engineering Research and Applications (IJERA) ISSN: 2248-9622 www.ijera.com Vol. 3, Issue 2, March -April 2013, pp.133-136. Whitten, Jeffrey L; Bentley, Lonnie D. ; Dittman, Kevin C (terjemahan). 2004. Metode Desain& Analisis Sistem Edisi 6. Jogjakarta: Andi. Yuswanto. 2005. Pemograman Client Server Microsoft Visual Basic 6.0. Jakarta: Pustaka Raya..
transport company and workshop. Infact in 1936 grandfather. Hoffmaister Gadignani left Italy to go to Africa with two ..